The Verona by DarenthMJS is an exceptionally compact yet truly versatile and feature-packed total drinks solution. 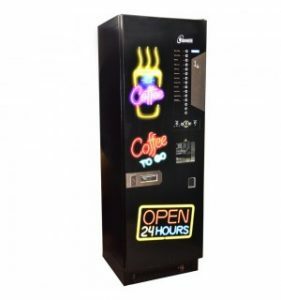 It’s ideal for larger sites who require high-quality beverages served both quickly and efficiently as well as offering a huge choice of delicious taste options. Whether it’s a simple smooth, dark and aromatic black coffee, a highly whipped and frothy cappuccino or a rich, creamy indulgent café mocha, the totally dependable Verona does it all with style and complete convenience.